The Green Party is a global movement for social and ecological justice. The first political party, the Tasmania Group (now the Australian Greens), was formed in 1972 in order to create the political structure and support necessary to achieve these goals. The movement spread, with particularly notable electoral success in Germany. In the United States, organizing began in 1984 with the Green Committees of Correspondence, emphasizing educational projects and nonpartisan activism. Active involvement in electoral politics began in 1991 and grew rapidly with Ralph Nader’s campaigns in 1996 and 2000. These beginnings created a party unique to the world of politics, rooted in the values of peace, justice, democracy, and ecology, and independence from the corporate interests that dominate so much of our electoral government today. There are now hundreds of local affiliates of the Green Party of the United States. 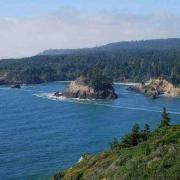 The Green Party of Humboldt County is a regional chapter made of Greens registered in Humboldt County and neighboring communities in the surrounding contiguous counties. We currently have over 3000 registered Greens in Humboldt County, the second highest per capita ratio in the entire state of California. We are organizing to focus our energies so that we can achieve the goals of peace and justice we all share. The “bottom up” governance structure of the Green Party is another aspect that sets us apart from traditional political parties. The General Assembly composed of all members of the Humboldt Green Party who attend, is the democratic base and ultimate authority of the Humboldt Green Party. The County Council, the executive arm of the Humboldt Green Party, is charged with carrying out the policies and directives of the General Assembly. The CC meets with the General Assembly monthly in the office of the Seventh Generation Fund, 425 I Street in Arcata. For the next meeting, see Upcoming Events. The Humboldt Green Party works collaboratively with other progressives who share Green values, whether or not they are registered Green. All meetings of the Green Party are open to the public, and we encourage all to join us.